Do you have a concrete slab that is sinking or cracking? Southeast Foundation & Crawl Space Repair has an affordable, effective solution. Learn more about their concrete repair services available in Fayetteville, Wilmington and throughout North Carolina. Finding a reliable contractor for concrete slab repair can seem like searching for a needle in a haystack. Thankfully, the experts at Dry Pro Foundation and Crawl Space Specialists provide superior concrete lifting & leveling services. Find out more about the areas they reach and their services here. Regional Waterproofing is the locally owned and operated PolyLevel contractor serving the Greater Raleigh area. They help restore sunken and cracked concrete surfaces for both residential and commercial properties all throughout Central North Carolina! 1503 Old Mount Tabor Rd. 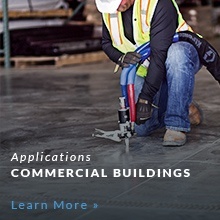 As a PolyLevel™ dealer, American Foundation and Basement Repairs, LLC provides the specially formulated two-part foam that expands and levels any concrete slab cracks or inconsistencies. Master Service Companies of North Carolina is your local expert concrete lifting & leveling contractor serving Greater Greensboro, Winston Salem, High Point, NC and nearby. Conditions where outdoor concrete has already begun to sink is not uncommon in North Carolina and is often the result of shifting or a weak soil base or erosion. It causes driveways, sidewalks, walkways, concrete steps or patio areas to become tripping hazards and can effect property value. Today, select contractors in North Carolina are trained and to provide a better alternative to mud jacking. PolyLevel is a less intrusive, lighter weight solution that doesn't add more weight to the problem. If you are seeing signs of sinking concrete on your property, have a contractor to provide the PolyLevel alternative to mud jacking take a look at it. The following North Carolina contractors are trained and to provide a free estimate to solve your sinking concrete problem. "Excellent company that was able to fix my problematic driveway in no time..."
Excellent company that was able to fix my problematic driveway in no time flat! "George and his crew did a fantastic job, they cleaned up after themselves..."
George and his crew did a fantastic job, they cleaned up after themselves and it looks fantastic. "Did a great job of raising my concrete driveway!" Did a great job of raising my concrete driveway! "Came High Recommended! Glad we call you first!" Came High Recommended! Glad we call you first! "Went with SEFR because of the quality, reputation, speed and price!" Went with SEFR because of the quality, reputation, speed and price! "Professional attitude of employees & initial explanation of the work..."
Professional attitude of employees & initial explanation of the work to be done along with a great warranty. "Everyone was extremely pleasant, we are happy that we chose Southeast..."
"So Happy! 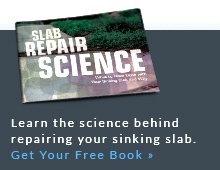 Can't believe how simple it was to fix my sunken concrete!" So Happy! Can't believe how simple it was to fix my sunken concrete! Selling house and front porch has settled. It has not changed in 2years we lived here. Would like a quote to raise the front porch. Cracks in the drywall so the customer wants someone to look in the crawlspace and has some places on the sidewalk that needs work. The concrete patio on the right side of the house is sunken, causing water to flow into the crawlspace. I am interested in a quote to raise the patio so that water flows away from the foundation. Front porch concrete settling downward creating a possible trip hazard. Looking to have a temporary releveling done. In process of putting home on the market the next 2-3 weeks. 2 slabs of the driveway (one mostly) has sunken. I am looking for a solution to raise several sections of concrete in front of my garage. They are sinking and causing cracking. Hello, We are in need of someone to level the bottom floor of our house and make it smooth/flat before we put down our flooring. It is about 400-450 square feet. Thanks for any help you can provide! Driveway has sunken a lot. Poured concrete under a carport is starting to sink at the corners where the post are. Would like to see if polylevel can help stabilize this area. My concrete parking area slab is cracking and settling. I would like an estimate of what it would cost to repair. We are in the process of buying a house. The inspection turned up that the front stoop has settled toward the house. The concrete part in one corner away from house is raised slightly higher than the surrounding brick. The concrete next to the house has sunken lower about an inch. Front stoop is 9x5 total with the brick. We would like an estimate for raising the concrete to be level with the house to prevent water drainage. Thank you! Looking for an estimate to get concrete around my pool leveled. The front porch is a concrete pad and brick. The concrete has dropped a few inches towards the home and the brick has lifted around the edge as a result. Front porch slab has sunk in one corner (next to the house) and has caused a rise in the corner opposite from it (front corner away from the house). The slab is starting to crack slightly in the middle of the slab. It hasn't sunk much but hard rains now drain from the raised in side of the slab back toward the house. The fill under our driveway slab has washed away and the salad has lowered a bit. I can send you pictures if you want. Looking for a driveway repair service. The end of my Driveway(against the house sunk approx. 4". Patio concrete has dropped. Need it raised. Have a raised concrete patio that has sunken in four corners so that water pools to at least one inch deep. Would like estimate to raise. Due to recent heavy rainfall, my driveway has experienced a lot of erosion. One slab has had water create a cavity below it, the slab has tilter slightly and cracked. Storm related damage at Mom's place. Need help. Please contact. I can send pictures. Front porch steps( 3risers high) 2 of the 3 site on a concrete footing slab that has dropped approx. 2" over 14 years. Need to raise slab they site on that is approx. 2'-8" x 12' long up 2"
About 5x5 front porch stoop, sunk 12 inches in the front. My front porch is falling in. I can provide you pictures if you would like them. The porch is 17' 6" long and 7'4" wide and has sunken around 3 inches at some points. I have a patio slab that has sunk and now slopes toward the house. Front porch slab approximately 31"*6" sunken about 4"
I have a poured slab porch that has sunk on one end about 1 inch. Have sinking concrete by pool stairs due to soil washing out. Would like an estimate to repair. I am nearing the closing date on purchasing this property. It is an older home that was recently inspected and I would like to be contacted re: getting estimate on issues with foundation and exterior concrete and how PolyLevel can accomplish this. Slab on front porch has sunk 2 inches. Water is seeping between porch and house. The floor has sunk in the restaurant from 0 to 4 inches. I have a 20' sidewalk that is adjacent to my garage. The outer side of the sidewalk has sunken a couple of inches and puddles form. I would like it level again. Would like my crawl space encapsulated and reinsulated. Comment: Selling house and front porch has settled. It has not changed in 2years we lived here. Would like a quote to raise the front porch. Comment: Cracks in the drywall so the customer wants someone to look in the crawlspace and has some places on the sidewalk that needs work. Comment: The concrete patio on the right side of the house is sunken, causing water to flow into the crawlspace. I am interested in a quote to raise the patio so that water flows away from the foundation. Comment: Front porch concrete settling downward creating a possible trip hazard. Looking to have a temporary releveling done. In process of putting home on the market the next 2-3 weeks. Comment: 2 slabs of the driveway (one mostly) has sunken. Comment: I am looking for a solution to raise several sections of concrete in front of my garage. They are sinking and causing cracking. Comment: Hello, We are in need of someone to level the bottom floor of our house and make it smooth/flat before we put down our flooring. It is about 400-450 square feet. Thanks for any help you can provide! Comment: Driveway has sunken a lot. Comment: Poured concrete under a carport is starting to sink at the corners where the post are. Would like to see if polylevel can help stabilize this area. Comment: My concrete parking area slab is cracking and settling. I would like an estimate of what it would cost to repair.